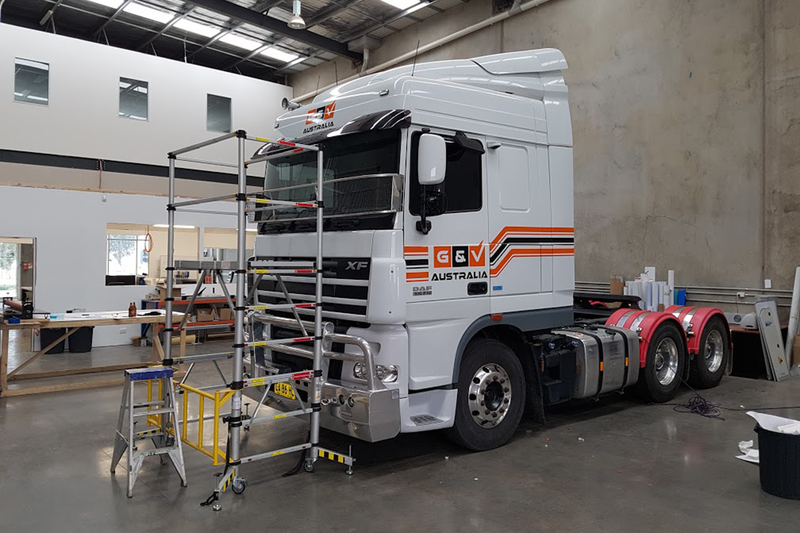 Derrimut based logistics company, G & V Australia had outgrown their original branding. The directors of the company have a long history in senior positions in very large transport and logistics companies. The company has seen rapid growth in recent years. Their fleet of semi trailors and refrigerated rigid trucks is now over 30, with another 10 to be added in the next six weeks. With so many vehicles on the road G & V Australia needed a more sophisticated and recognisable brand. After going through a process to find the right design company to help them achieve this outcome, they decided that uClick Solutions had both the branding experience, and knowledge of fleet signage to confidently take their brand, and their business to the next level. uClick designed a bright and modern logo for them, carefully selecting colours that not only looked great, but were also readily available in signage vinyl. Michael explained that while we can do that, and often do when colour matching for companies branding guidelines or specific needs and complex graphics, if you want vibrant colours, you cant beat high quality computer cut vinyl. 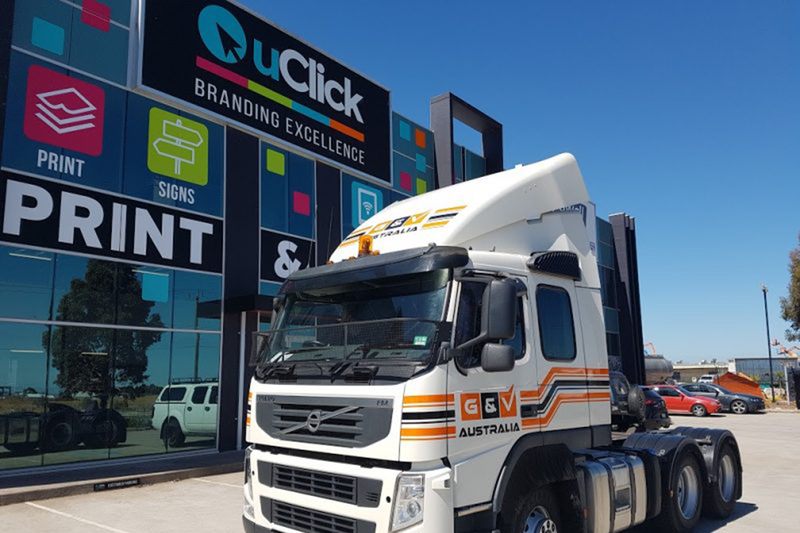 Once the logo was finalised uClick Solutions designed a unique, sleek look for G &V Australia’s fleet graphics. The fleet signage rollout has begun and everyone involved couldn’t be happier with the result.